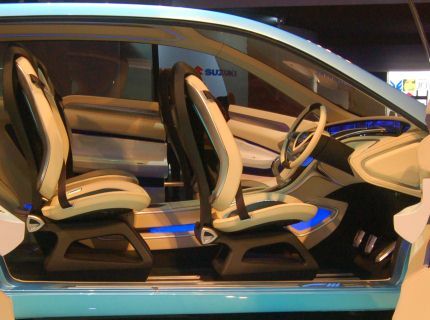 Maruti Suzuki has taken the covers off its Maruti R3 MPV concept Multi Purpose Vehicle (MPV), at the Auto Expo 2010. At the unveiling of the concept car, Managing director and CEO Shinzo Nakanishi said that the Maruti R3 MPV concept will carve a new segment in the Indian market. Described as a family car, the six-seater will cater to large families. The concept design aims to optimize interior space without compromising on the elegance and compactness of the exterior. 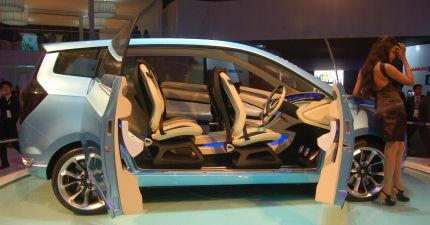 The exterior of the Maruti R3 concept has flowing lines that start from the front of the vehicle and move to the rear. There are concealed rear tail lamps, a glass roof, aluminum accents on the side, and a chrome grille. The interior design cues are derived from the fluidity of flowing water giving the appearance of elements merging into another. 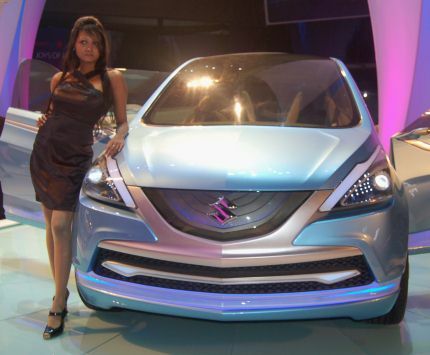 Maruti had showcased the concepts for the Maruti A-Star and Swift at the Auto Expos held in previous years. The production models of both the cars have been successful in India, the Maruti Swift more so. The Maruti R3 MPV concept car will be designed entirely in India over a period of nine months. It will also be built primarily in India to keep costs down. Maruti has not divulged any information as to when the Maruti R3 MPV concept will go into production or its expected price and specifications.